What is a delicious low calorie/low fat vanilla frosting recipe? Question by emmy: What is a delicious low calorie/low fat vanilla frosting recipe? I am baking a cake for a birthday tomorrow. I am just using what we have in the pantry, Devil’s Food chocolate cake mix, unless I find something “healthier” while shopping. Are there any vanilla frosting mixes premade on the shelves that are low calorie and low fat? And if not, do you have a really good recipe for one? (if so, please list nutrition information along with it) Thanks! You can try a low fat cream cheese frosting by using fat free cream cheese instead of the other stuff. The powdered sugar is going to add the calories but not the fat! And use lowfat milk to thin the mixture. You might also consider a “glaze” instead, since it goes on thin and drips down the sides of the cake. Or, you might want to simply make a very scrumptious cake and cut smaller slices! Thanks to this video recipe, you can add a banana pudding recipe to your list of healthy eating ideas for dessert. In this video tutorial, Anne from ezgf.blogspot.com shows you how to make a healthier banana pudding. Plus, this cooking video shows you how to make your own vanilla wafers. Anne says, “This sweet treat is one of the greatest uses for overripe bananas in the recipe box. 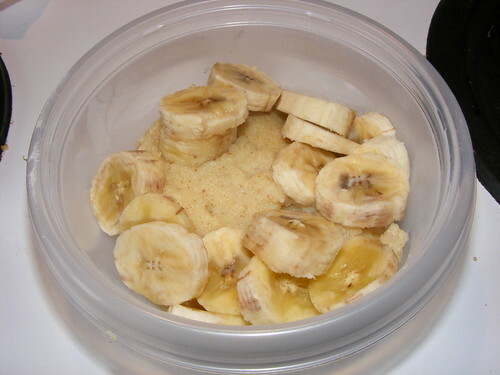 It uses much less sugar than a traditional pudding since the bananas themselves are very sweet. I’ve also included an easy to make copycat recipe for gluten free vanilla wafers since they can sometimes be hard to find.” Go to www.favediets.com for the full instructions list and step-by-step instructions for this gluten free dessert recipe. A homemade coffee creamer that has none of the undesirable ingredients that a store bought coffee creamer might contain. 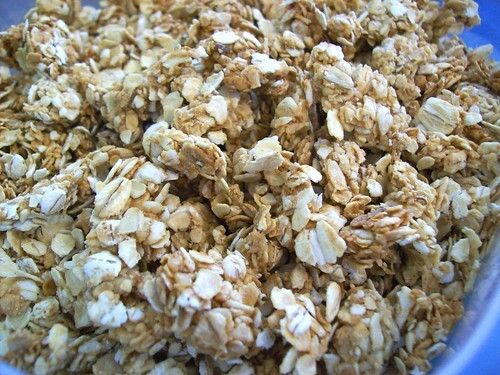 Uses very few ingredients and is super easy to make. From Pinterest. Homemade French Vanilla Coffee Creamer 14 ounce can sweetened condensed milk (can use fat free or regular) 14 ounces milk (skim, low fat or whole milk) 2 teaspoons vanilla extract A mason jar (quart is the perfect size) to mix Pour all ingredients into a mason jar. Screw lid on tightly and shake vigorously for a few minutes until well combined. You may need to stir a little to help the condensed milk get all mixed in and then shake. Store in the refrigerator. 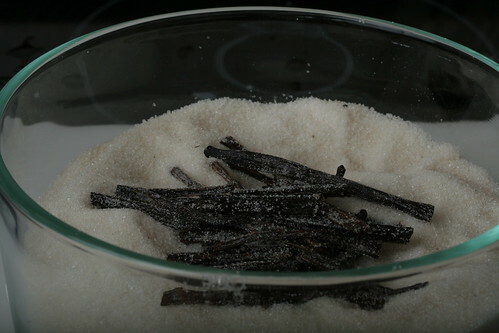 Instead of extracting the flavor of the pods into the milk, we are going to make vanilla sugar. The pods are cut up into 10 cm (4 inch) segments, then mixed into sugar (I used granulated, organic cane sugar). Then, just let time do its magic. You can make home-made vanilla extract this way too – just toss the pods into a bottle and follow with a couple shots of vodka. PCC sells vanilla pods at 89c each. You can get a bottle of good Polish vodka (Chopin, Belevedere) for .00. The same might get you a bottle of good vanilla bourbon at a grocery store, but you’re paying through the nose there. A couple shots of vodka for the extract, and the rest can be saved for personal consumption 🙂 Plus you know that quality ingredients, instead of grain alcohol so bad that they couldn’t feed to winos, went into the final product, and nothing went to waste. Artificially flavored. Full meal/energy source. Contains 24 essential vitamins & minerals. Milk shake taste! Nutrament is nutrition. Each delicious serving of Nutrament is an excellent source of protein and provides the vitamins and minerals of a nutritionally balanced meal. Nutrament keeps you going strong. Drink Nutrament anytime for: energy source, delicious refresher or snack, fitness and weight control, well-balanced meal replacement, extra nutrition. March 15, 2008 – This was before I found out how unhealthy soy is and before I was diagnosed with an underactive thyroid. Great Taste – Mixes Instantly, No Blender Required. 25 grams of soy protein a day, as part of a diet low in saturated fat and cholesterol, may reduce the risk of heart disease. 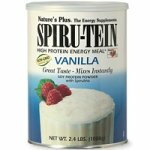 A serving of Spiru-Tein supplies 14 grams of soy protein. Mason vitamins d3 for kids has a yummy flavor! it’s a tasty vanilla flavor that is easy to chew. the pediatricians group now recommends 400 iu of vitamin d daily for children. not all children like to drink milk. this is an easy solution , to make sure they get their daily recommended dose. why d3? vitamin d comes in two different formulations. vitamin d2, also called ergocalciferol;and d3, also called cholecalciferol. d2(synthesized by plants) is a far inferior form of vitamin d that does not get absorbed into the human body well. this is a phenomenon called bioavailability, or in this case simply vitamin d absorption. d3 is synthesized by humans and is a more potent form. more importantly, it is better absorbed by the human body.